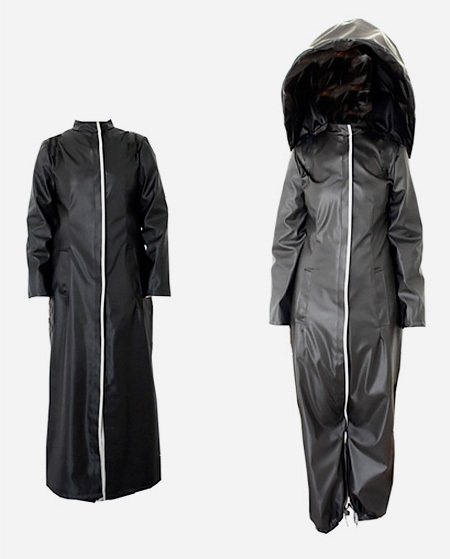 Stylish raincoat with integrated umbrella designed by Athanasia Leivaditou. 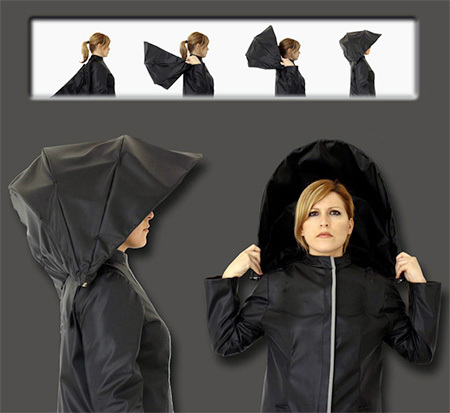 Umbrella raincoat will completely shield your head and body from the rain. 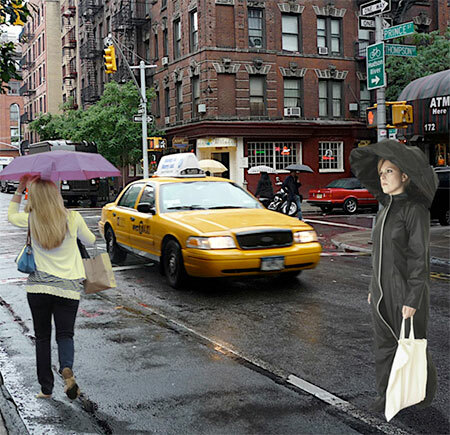 No need to hold the umbrella, your hands are free to do other things. 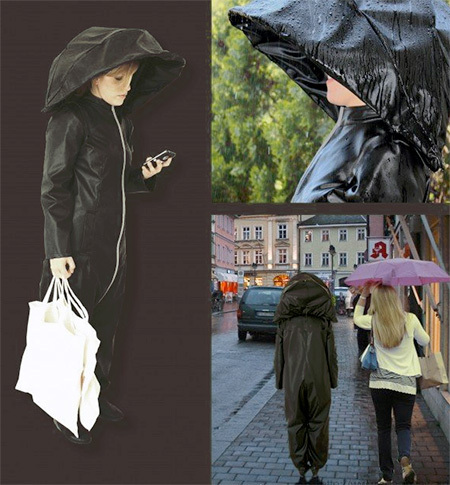 The wearer may be dry, but what she carries are gonna be WET.